COMMENTARY: The Rome Statute is not only about you. It is about the people you swore to protect! Here is a quick appeal from one of your constituents in Davao City for more than two decades. Rethink your call to withdraw from the Rome Statute. I will not approach this from a legal analysis, although I believe that while withdrawal from the Rome Statute is provided and allowed, it cannot take effect without the concurrence of the Senate whose concurrence is also required to ratify the treaty. This duty is shared by both the Executive and Legislative Branches. Logic tells that the bodies which ratified it must be the same bodies who can put to effect an opt out. But more than that, I feel the series of unfortunate events strange. Yesterday, self-confessed big-time drug traders were exonerated. A huge blow against the campaign against drugs. That decision reinforces the observation that you are indeed running a campaign that targets the poor and leaves the oligarchs free of scratch. I am disheartened especially that we are helping your administration’s campaign by providing rehabilitation services to reformists, drug hotlines, research and rights-based policing training for the security forces. Then suddenly today, you dropped a bombshell. The ICC (International Criminal Court) withdrawal is a convenient way to cover the failure in the Espinosa et al case. I appreciate though your call to re-investigate the said hullabaloo. But this is water under the bridge already. On withdrawing from the Rome Statute, I am equally appalled by the reason you invoked in maintaining a position to withdraw. You said (see photo above), the attacks were against your person and your administration and therefore you want a withdrawal. This is such a selfish posturing. The Rome Statute was ratified by the Philippines in 2011 to protect the many civilians and other protected persons from the spillovers of armed conflicts which are abundant in the Philippines especially in Mindanao. The ratification was to safeguard their rights, not just yours. 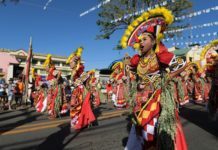 If we withdraw, what remedy can still be available to the IPs, Muslims and settlers of Mindanao who are not only collateral but are actually primary targets of war? Just because you are inconvenienced does not mean you give up an instrument that was meant to safeguard the multitude. Your disposition reeks of elitism which you yourself condemned. Let us not make the Philippines a parochial state. In the global political order, we ought to contribute to the common good and not demonize the common good. We must build an international political order that suits our national sense of identity. In this time and age, we either cooperate or defect. Do not choose the latter. The Rome Statute is not only about you. It is about the people you swore to protect! Hoping for a reconsideration on your plan to withdraw from the Rome Statute. By the way, the ratification of the Rome Statute was painstakingly advanced by your dear friend, the late Miriam Defensor Santiago. If she were alive today, would you still be friends? 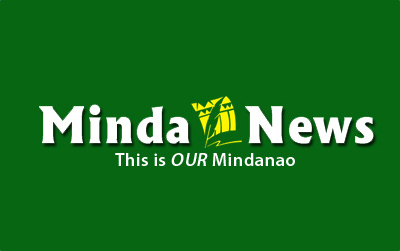 (MindaNews is the opinion section of MindaNews. Lawyer Romeo T. Cabarde, Jr. is former director of the Ateneo Public Interest and Legal Advocacy Center, the human rights hub of the Ateneo de Davao University. He is currently on study leave pursuing further studies in Political Science at De La Salle University. He is vice chair of Amnesty Internatonal – Philippines. This open letter to the President was first published on his Facebook page on 14 March 2018).